The wide path leading from the village of Sadrazmamkoy to the sea on this very hot dry day, was lined with orchids at the side and in the scrub. In some places there were patches of fifty or so. 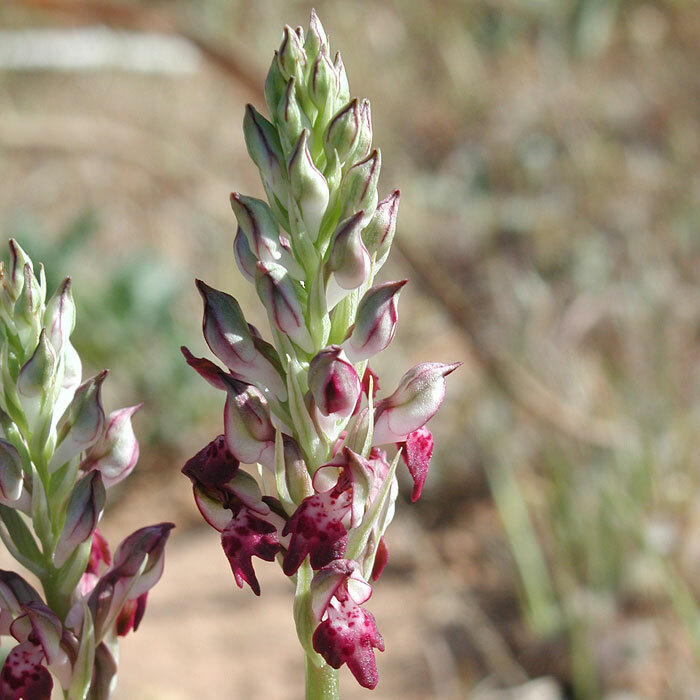 Taxonomy: Originally this was identified as Orchis coriophora ssp fragans (Pollini) K.Richt. 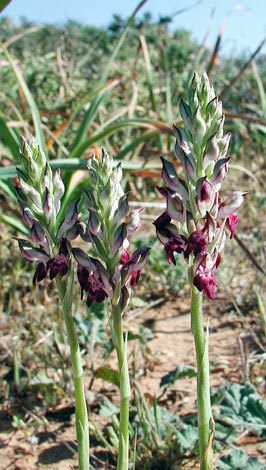 and even today some authorities like Delforge use the original name to present it as the new species Orchis fragrans Pollini. However the large databases at Kew, World Ckecklist etc. 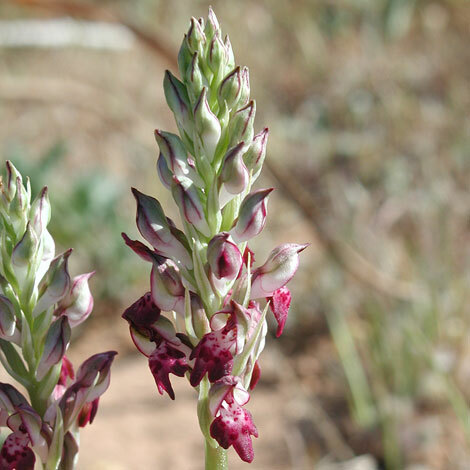 agree that the correct and accepted name for this taxon is Anacamptis coriophora (L.) R.M.Bateman, Pridgeon & M.W.Chase without any distinction being made between sub species.